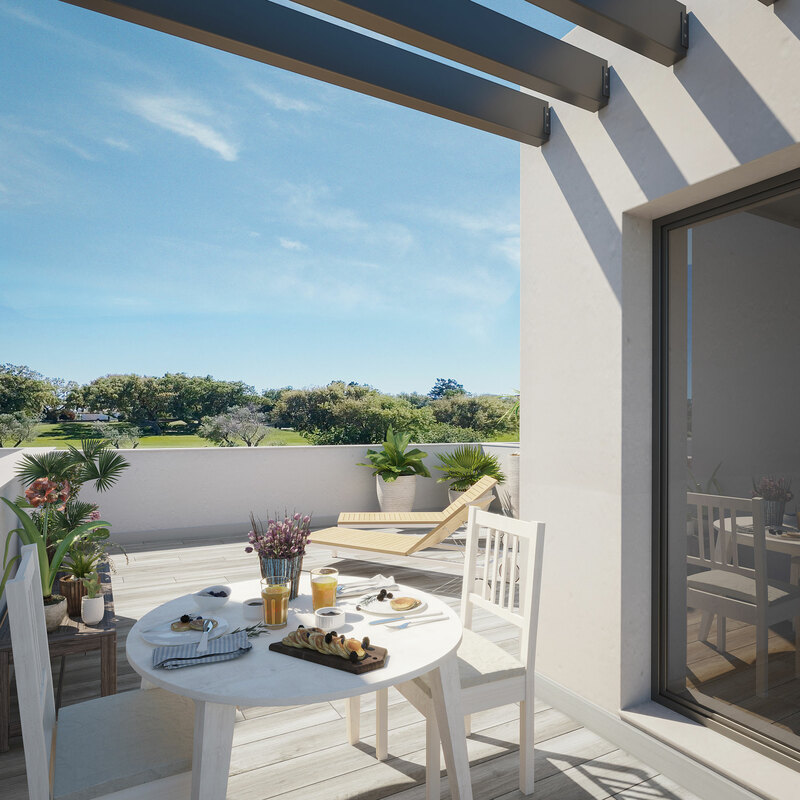 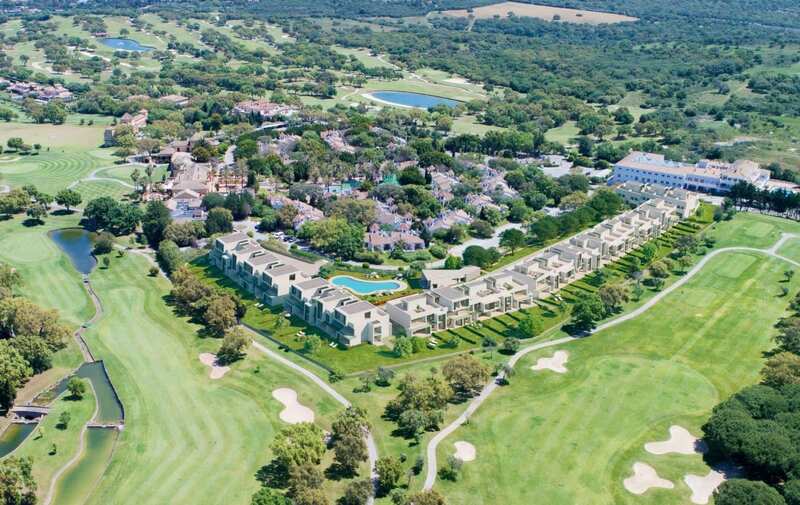 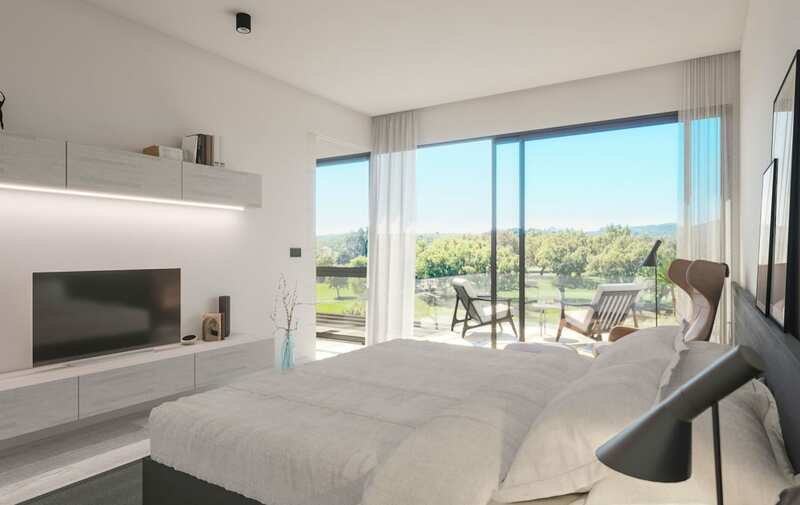 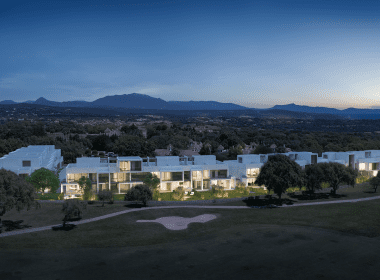 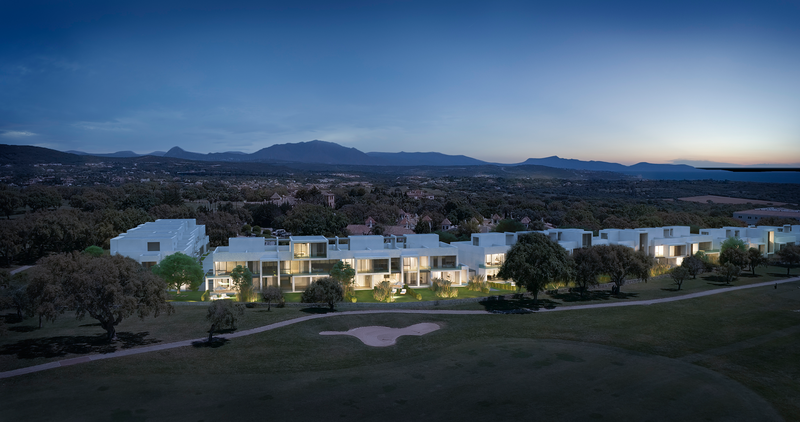 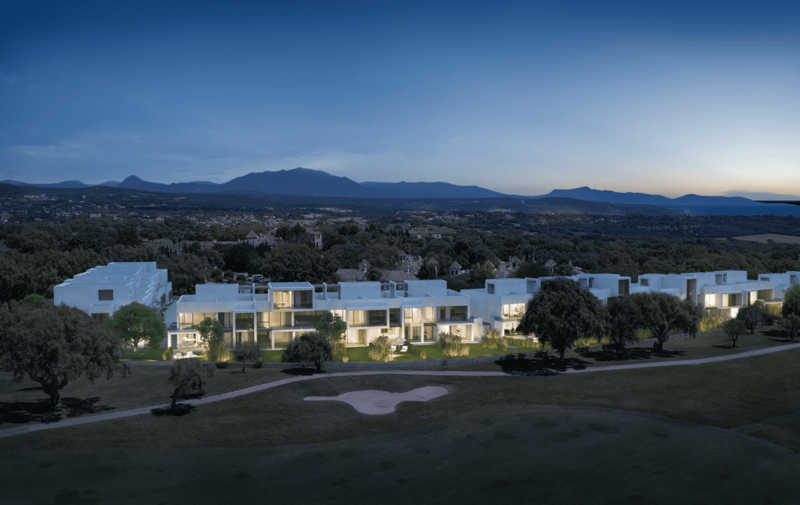 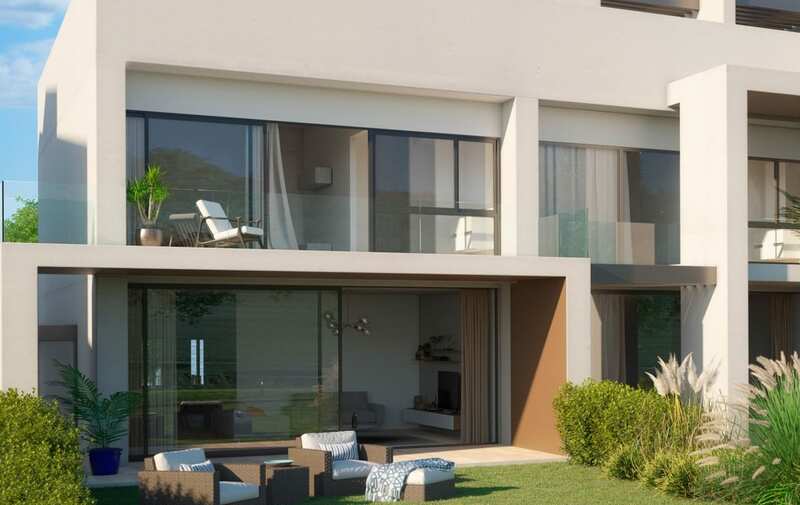 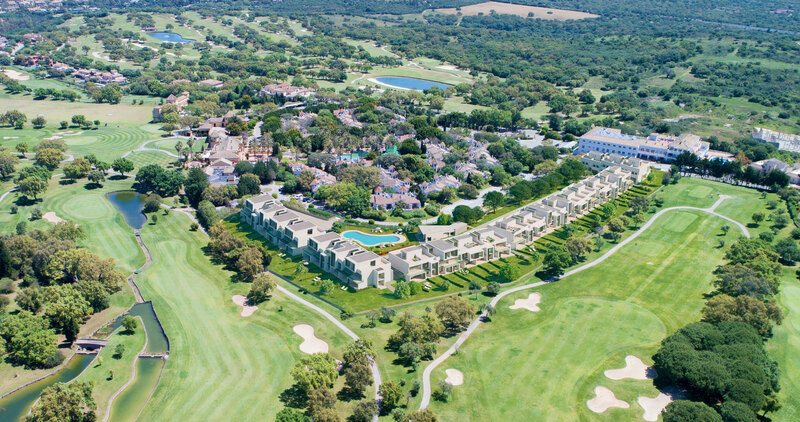 Magnificent spacious homes set within an exclusive gated community boasting on-site amenities, and breathtaking golf views perched on the edge of the renowned San Roque Golf course. 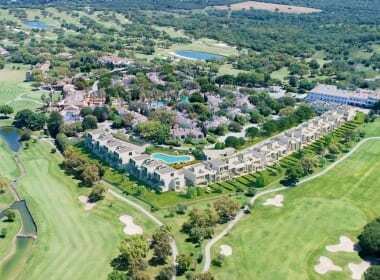 It takes prime position overlooking the 17th hole of the north course which forms part of an 18 hole championship golf course designed by Seve Ballesteros and Perry Dye. 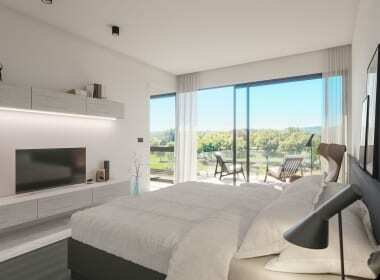 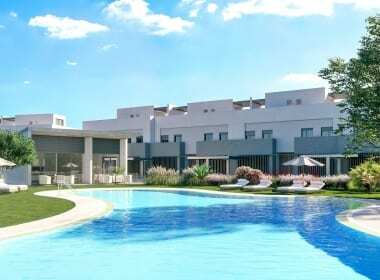 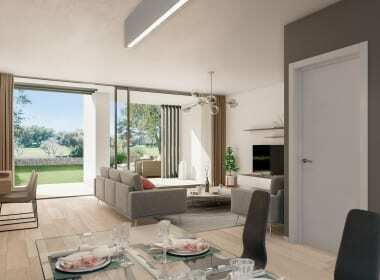 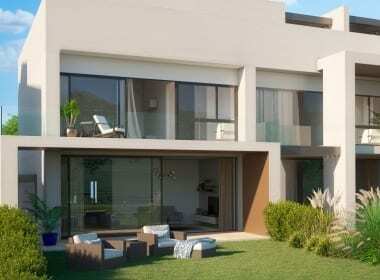 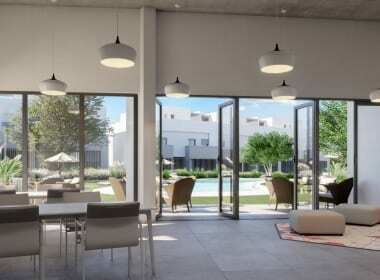 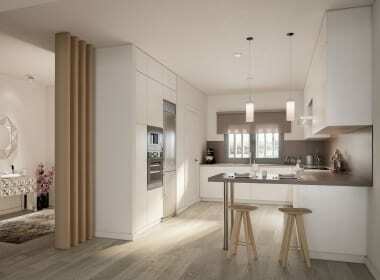 It is a stunning development of highly contemporary three and four bedroom front line golf town homes. 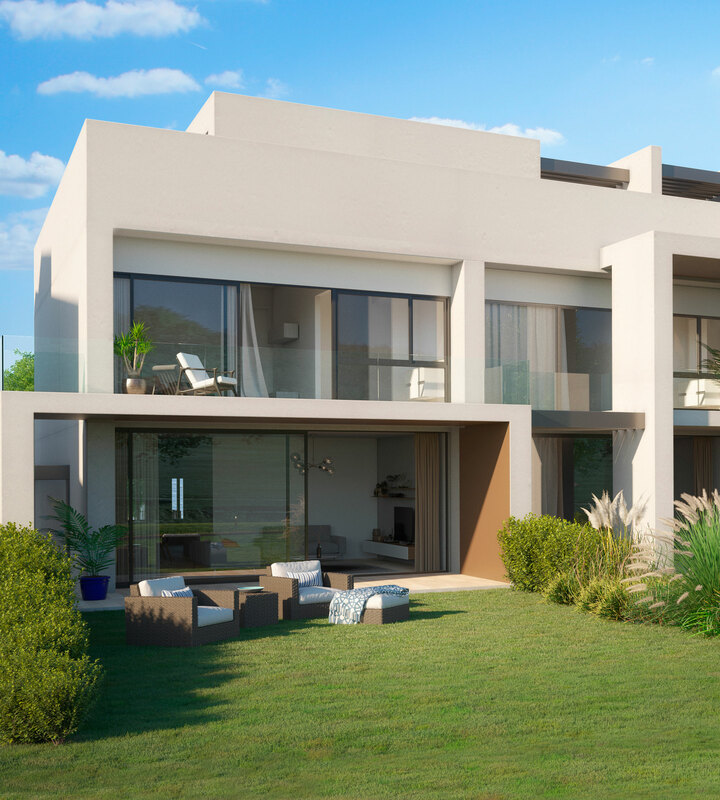 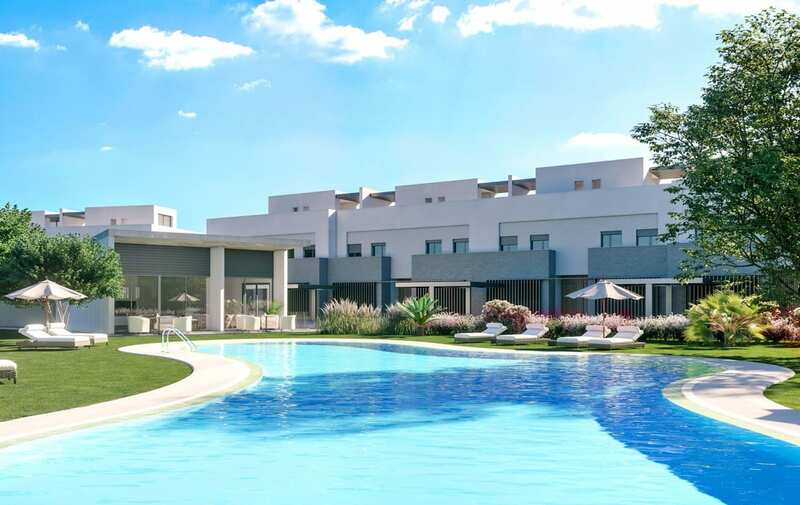 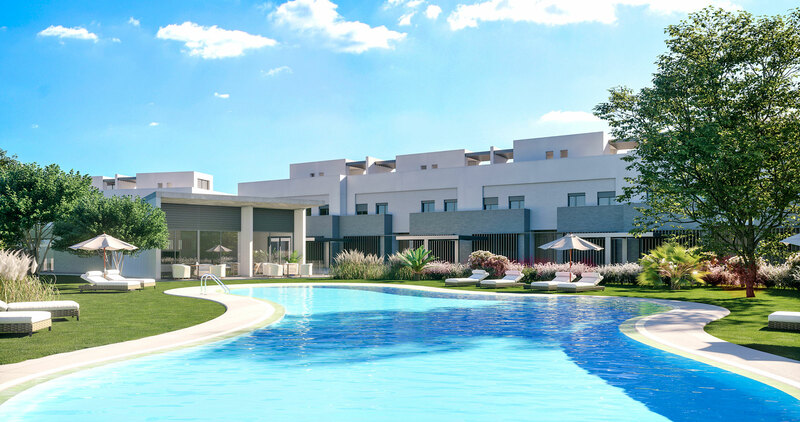 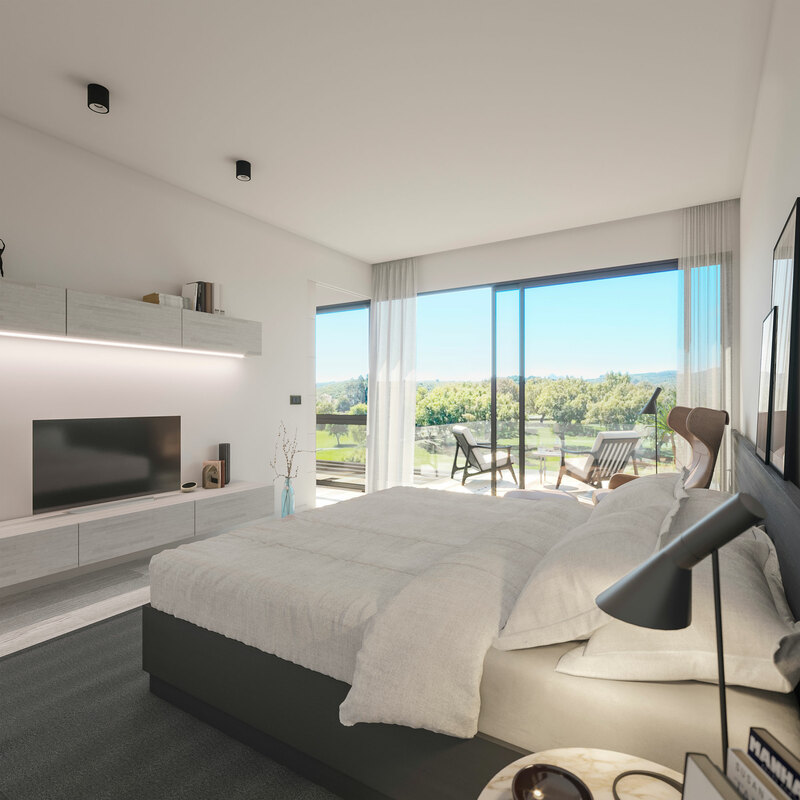 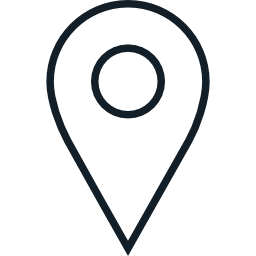 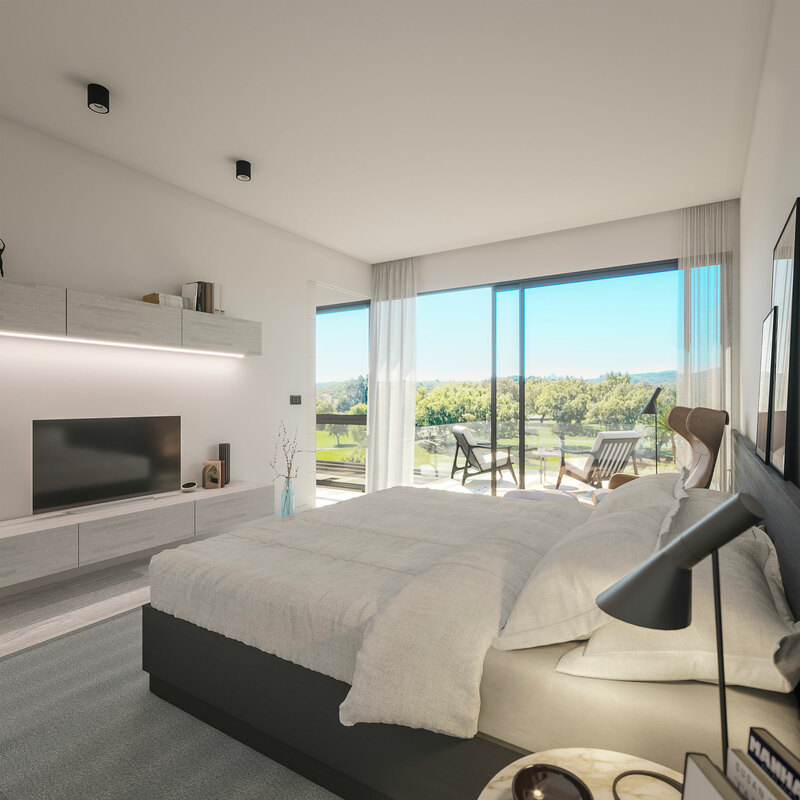 Located between Jerez and Marbella at the tip of the Iberian Peninsula, this development is one of Andalucía’s best-kept secrets. 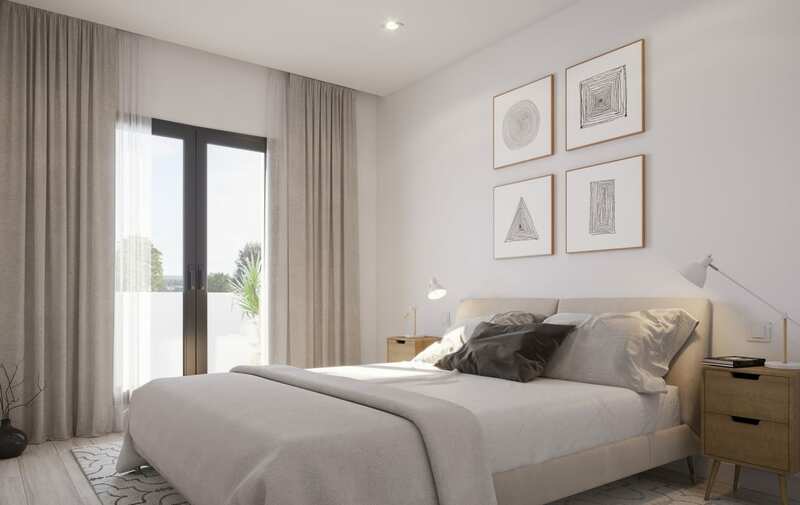 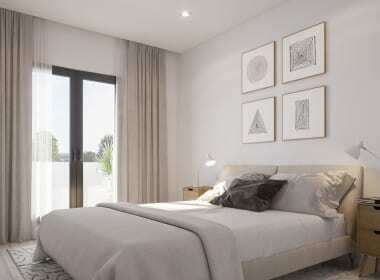 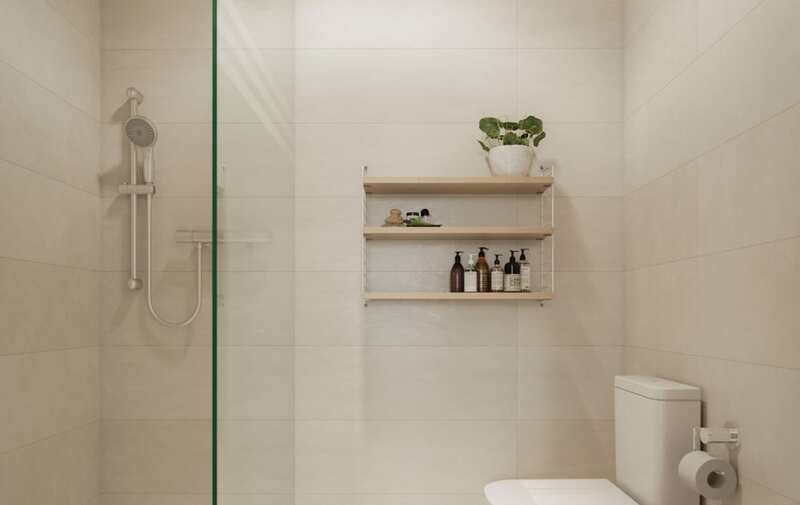 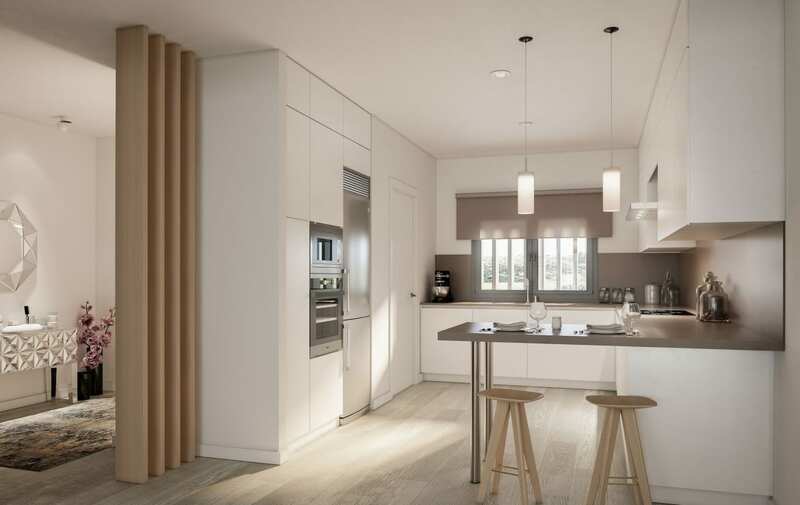 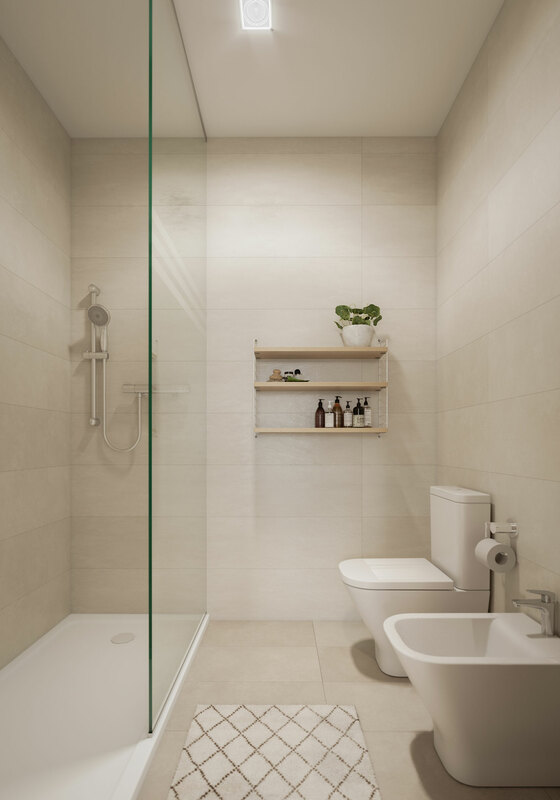 These exclusive 3 and 4 bedroom homes are distributed over 2 or 3 floors, depending on the layout, offering different floor plans to suit every lifestyle. 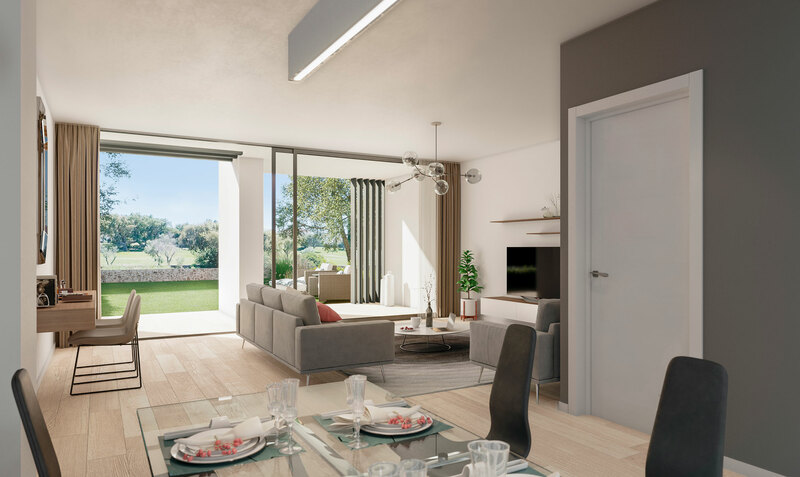 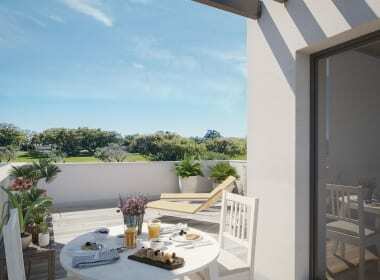 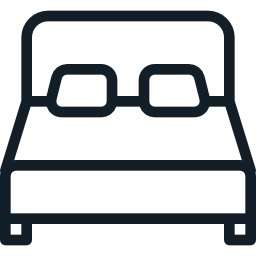 The properties are mostly south facing with generous private gardens bordering the golf course and all homes come with 2 private parking spaces. 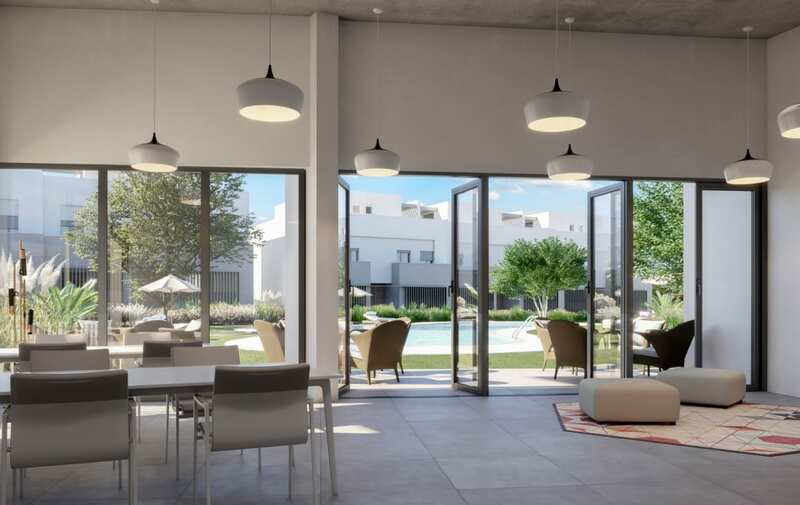 When entering the property we are greeted by a spectacular open plan living room – dining room with a fully fitted kitchen boasting Siemens appliances and high quality porcelain floors throughout. 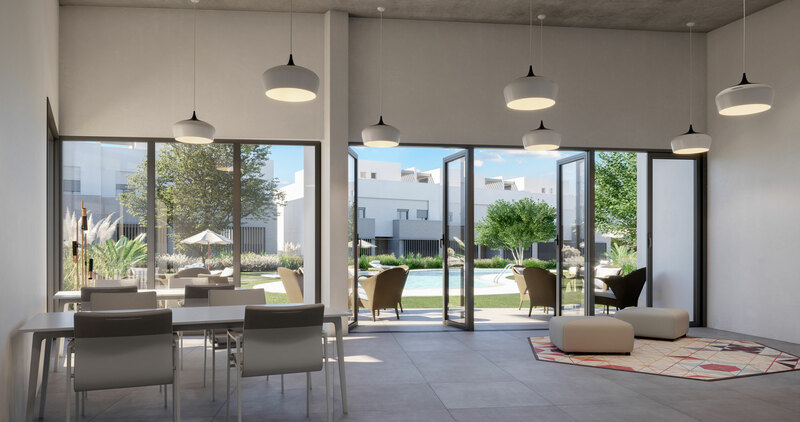 The light that floods the entire room comes from large over-sized windows that lead to the partially covered terrace and garden and provide a seamless connection between indoor and outdoor space. 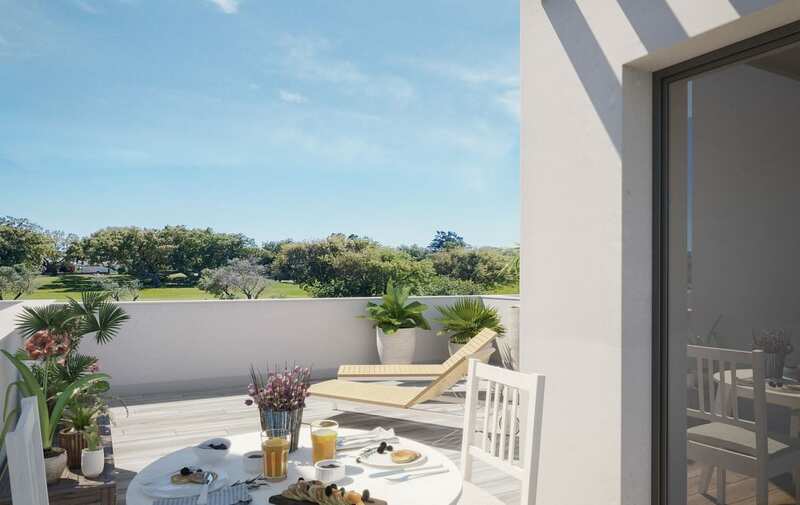 A beautiful garden can be found looking onto the greens, perfect for winding down in the long evenings whilst enjoying a glass of wine or dining with friends after a day on the golf course.